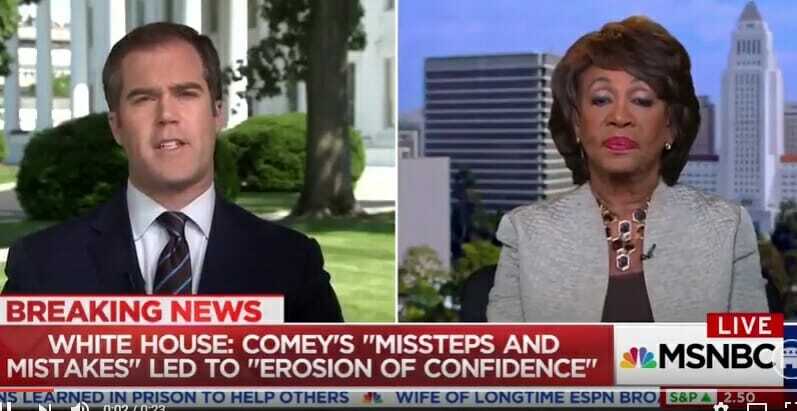 Democrat darling Maxine Waters told MSNBC on Wednesday that Hillary Clinton should have fired James Comey if she won the White House. This was right after she argued that Trump should not have fired James Comey. And she’s the darling of the liberal party! Here’s a longer clip from the interview today.